Should You Add InterDigital, Inc. (IDCC) to Your Portfolio? The successful funds run by legendary investors such as Dan Loeb and David Tepper make hundreds of millions of dollars for themselves and their investors by spending enormous resources doing research on small cap stocks that big investment banks don’t follow. Because of their pay structures, they have strong incentive to do the research necessary to beat the market. That’s why we pay close attention to what they think in small cap stocks. 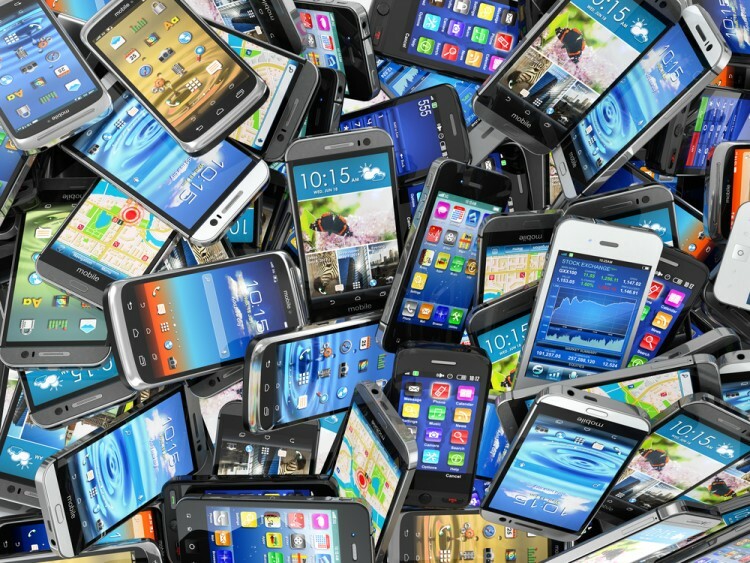 In this article, we take a closer look at InterDigital, Inc. (NASDAQ:IDCC) from the perspective of those successful funds. Is InterDigital, Inc. (NASDAQ:IDCC) a superb stock to buy now? It looks like the best stock pickers are getting more optimistic, as the number of long hedge fund bets that are revealed through the 13F filings went up by seven during the third quarter. At the end of September, 24 funds in our database held shares of IDCC. The level and the change in hedge fund popularity aren’t the only variables you need to analyze to decipher hedge funds’ perspectives. A stock may witness a boost in popularity but it may still be less popular than similarly priced stocks. That’s why at the end of this article we will examine companies such as Graham Holdings Co (NYSE:GHC), LaSalle Hotel Properties (NYSE:LHO), and Oceaneering International (NYSE:OII) to gather more data points. Keeping this in mind, we’re going to take a gander at the key action encompassing InterDigital, Inc. (NASDAQ:IDCC). How have hedgies been trading InterDigital, Inc. (NASDAQ:IDCC)? At the end of September, 24 hedge funds tracked by Insider Monkey were bullish on InterDigital, Inc. (NASDAQ:IDCC), up by 41% over the quarter. 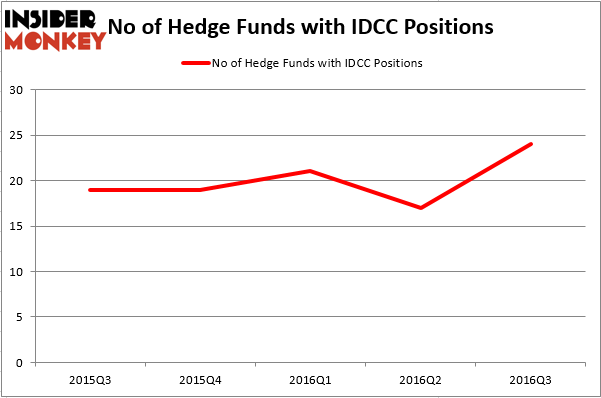 On the other hand, there were a total of 19 hedge funds with a bullish position in IDCC at the beginning of this year. With hedge funds’ positions undergoing their usual ebb and flow, there exists a select group of noteworthy hedge fund managers who were boosting their stakes substantially (or already accumulated large positions). When looking at the institutional investors followed by Insider Monkey, Robert Rodriguez and Steven Romick’s First Pacific Advisors LLC holds the number one position in InterDigital, Inc. (NASDAQ:IDCC). First Pacific Advisors LLC has a $54.2 million position in the stock, comprising 0.4% of its 13F portfolio. The second largest stake is held by Jim Simons’ Renaissance Technologies, which disclosed a $44.9 million position; 0.1% of its 13F portfolio is allocated to the stock. Other members of the smart money that hold long positions include D. E. Shaw’s D E Shaw, John Overdeck and David Siegel’s Two Sigma Advisors, and Amy Minella’s Cardinal Capital. We should note that none of these hedge funds are among our list of the 100 best performing hedge funds which is based on the performance of their 13F long positions in non-microcap stocks.